But don't expect any miracles to be revealed in this blog post. The best that I can tell you is that you might think a little deeper about your own life experience, and perhaps find a bit more meaning than you previously had. Maybe not. But either way, let's get started. 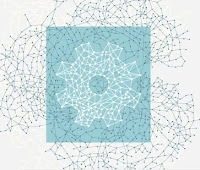 The story begins like this: This morning I met with my Thursday networking group ProMetroNet. Immediately afterward, I struck up a conversation with a very nice gentleman sitting next to me, who I found out has a similar love for bike riding. At the conclusion of our talk, we neglected to exchange contact information. but upon our departure we both said (at exactly the same time) "I hope to see you again". Remember this for later. After Irene and I finished the Coaching Corner radio show today (Thursdays on wrcr.com at 10:07 am), I mozied on down to my car, where I planned to head back to the office to get some Rockland Web Design work done. On the way there, I realized I didn't have my car keys on me! Now I admit, I deal with a lot of details on a day to day basis, as I'm sure we all do, and I sometimes misplace things like my keys. But usually I find them pretty quickly. This time I was at a loss. They weren't inside my car, they weren't in the radio station, and nobody seemed to know where they were. I was getting increasingly frustrated. I had several deadlines to meet today and as usual, very little time to get it all done. I had my laptop with me, so I decided to head across the street to Panera Bread, where I logged onto the Internet and started to do some work. But I was mostly distracted by the worry that I couldn't find my keys. Shortly thereafter, I came across a news article that disillusioned me even further. Stephen Hawking, the British Theoretical Physicist who wrote the book "A Brief History of Time", is about to release a new publication that theorizes God did not have a hand in creating the universe. According to his latest findings, his theories all point to the consensus that the laws of physics by themselves were able to create the universe from nothingness. Kind of like making a chicken without an egg or a chicken..
Why would a small news factoid like this depress me? Well I don't know about you, but when I have a bad day, hearing something that challenges my fundamental beliefs on life can be emotionally jarring. I grew up in a very devout Christian household, yet I was fortunate to be blessed (and still am) with a Mom that showed me many different ways, Faiths and Religions on contemplating / relying on the existence of God. This has been a source of strength for me thoughout my life, especially during the difficult stretches. However, I also believe in the relevance of Science. I'm no genius, but I see the correlations between facts, numbers, some causes and effects. So to reconcile the two, I sought those geniuses that factored in the existence of a Higher Power in their theories (I mean if George Lucas and Peter Jackson did, why shouldn't I?). Stephen Hawking was one of those people. To hear him suddenly flip his theories around was similar to suddenly finding out that the Earth is no longer round -- it's now gone back to flat. As I said, this story disillusioned me. And at that moment I said a prayer that -- if 'anybody' was listening would've probably sounded more like a Police A.P.B., but a very very silent one. At that moment, the bike rider guy I met this morning walked back into the restaurant...5 hours later from when I met him. We had hoped to meet again; we did not expect this to happen so quickly. Coincidence? The subsequent 1 hour conversation I had with this gentleman spanned many topics, such as politics, business, life, bike riding and other things. And, without going into too much detail, we also discussed something that that might mutually benefit us and others in a very good, tangible and significant way. We exchanged information this time, and plan to follow up with each other in the coming days. I hope you can relate to this - a chain of events that led to an effect that could never have happened in a million years, except for some strange, inexplicable set of causes that culminate in a new chain reaction result. Yes I can hear some of you right now saying "bah humbug" it's all cause and effect and absolutely nothing more...but think about it for a moment. Did you ever wonder about when two random events occur next to each other? Did you ever stop to think that there might be more to the random occurrences than just sheer coincidence? 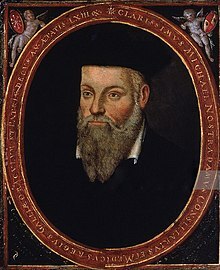 The prognosticator Nostradamus tended to associate such closely related writings, occurrences, and coincidences, using them to detect possible future outcomes. Some of his predictions have been strangely accurate, even ones related to the 9/11 terrorist attacks, the onset of world wars,um and I hope at least a few happy ones. Before he passed away, my late Stepfather told me on his deathbed that there has to be a God, simply because there are just too many coincidences that occur in our lives. I see such occurrences so often that if I started communicating all of them to the general public, I'd probably be put away for some time (at least I'd get a break from answering emails for a while :-D) But even without such coincidence, I can do something as simple as looking at my hand, move it with my thoughts as normal, and remember what a miracle it is to be able to do so. When we were children we could stare at this miracle with such wonderment. Now as we retreat further into the logical side of our brains, we begin to take for granted that which was originally a miracle to us, including the one we spoke to before we went to sleep each evening. Whoever, or whatever created us...cannot be explained by mortal man. And quite frankly, at some point we should stop trying to do so and just accept it, the way we did when we were brand new. Stephen Hawking is a brilliant Physicist, but today I am deeply disappointed that he has flipped his views on the role of God in the creation of the universe (BTW to be fair, I don't think he wrote that God does not exist, he simply stated that his theories do not lead him to the conclusion that God had a hand in creating the universe - the Laws of Physics did). Another lesser known scientist Fred Allen Wolfe (a.k.a. Dr. Quantum) , author of the book "Taking the Quantum Leap" once reported on a classical 1920's experiment that showed that the mere act of observation changes the outcome. If this is the case, is it possible that our attempt to seek the true nature of God could hide the Deity from our eyes? I should mention that several months ago I met another gentleman at a party that prompted me to write a draft blog about the video you just saw. But I was so astounded that I couldn't put it all into writing, and saved it for future completion. Today is the day that I complete it, with a simple story that begins with losing my car keys. I hope you see a point in all these ramblings I submit to you here today. If you don't, consider having a dialogue with other friends and family that you think may relate to this. It might open your eyes to something different that you did not notice before. My feeling is that sometimes you just gotta believe. It's as simple as that. And when you do - all sorts of things happen that open your eyes to a much different reality than is right in front of you. Yet it's up to you to take that first step. When you stop believing (which happens from time to time), that's when the universe of miracles, wonder and amazement collapse for the sake of the cold hard numbers, facts, laws and rules, the orderly and linear direct cause and effect that we've all socially accepted as the norm for our corporeal existences. But behind the scenes, there might be something, someone that can be found with a simple 'Dear God'. Oh by the way: Later, after I left my conversation with my new friend, I found my keys. They were on top of the roof of my car. Of course I'm exaggerating, and of course your feelings for the like button are not that deep; they are more akin to Sarah Palin - nice woman but a few bricks short of a henhouse. But you gotta admit, it is kind of cute (The like button, not Sarah...focus people!). You wanna push the button. Just so that you can join the others that all say that they like something, anything that validates our collective existences, right?? There's a lot more to Facebook's little like button than meets the eye. 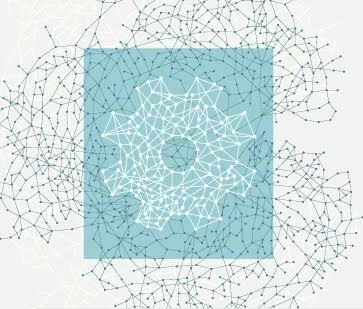 I watched Mark Zuckerberg's presentation at Facebook's F8 convention on the new Open Social Graph, and his plans to make the web a more social and connected society can indeed come to fruition, especially since he's got help from heavy hitters in the industry such as Microsoft and others. Now that Facebook has over 400 million users (more than the U.S. Population, at least prior to results of the 2010 census), it wields a great deal of influence over the web. Sure, Google is the place to seek information, but when you're looking for a really good movie, aren't you going to also want to ask your friends, who have actually seen that movie? Or better yet...what if you went to the Iron Man II website, and actually saw right there that your friends like that movie? Wouldn't that give you a little more rationale for going to see the movie? I'll explain each a little more in detail. 1. Ordinary web users can now rank and organize the web. In the early days of Search Engines, it was recognized by web developers like us that one of the best ways to help our clients show up on Google, Yahoo etc. was to call up other businesses in their communities and ask them to place a hyperlink (www.example.com/etc) on their website to our clients. The concept, openly divulged by Google, was that the more high-quality links placed on other websites that point to a client's website, the higher it will rank with respect to its peers in the same category in its search engine. Now, simply by finding and clicking the little like button on any website , you or anyone can instantly make any web page more popular, simply by clicking 'like'. In the short term, this will not do much except raise the number of people that like a given page. But over time, Facebook and partners will be collecting that data, and my hypothesis is that they will be creating a new 'social search engine' that ranks websites according to their popularity from the average user. This also means that as a business owner, you can more easily spearhead a web campaign to get followers simply by having the like button placed on all your web pages, generating just a little online buzz, and letting it steamroll from there. If the content you are trying to get liked is of good quality, then the buzz will spread, and more and more people will be inclined to push the like button. The content will spread on its own. 2. Businesses can use this data to find out what appeals to consumers. Now fast forward a few months after putting some content out there on your website. You have 205 people that like your article on spaghetti, and 12 that like your article about wanting to do some oil-surfing in Louisiana (best example I could come up with). Using that data, you can get a clearer picture of what is wanted and needed by your target audience. Additionally, you can get a much more accurate picture of who your audience is. If those 205 people that like your article on spaghetti happen to be people who like gourmet cooking, then you as a business owner can refine your future content to attract more of that demographic. In essence, the like button is a very powerful tool for focusing a business' marketing efforts in a more effective manner. 3. Guess where all that data goes? Here's where it gets tricky. 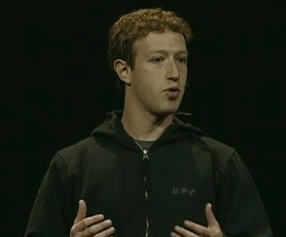 In order to create Zuckerberg's vision of a social web, somebody's gotta retain, centralize, and crunch all that data. You can be certain it's not going to be Xerox. I'd like to pose a hypothetical situation. Let's say your 10-year old kid goes through a phase of finding a lot of, well...controversial stuff on the Internet. And on each site he finds, he clicks on the like button, to let his online friends know that he is interested in this material. A few websites may not hurt...but over the course of months or years, Facebook could theoretically collect this data, and offer it as marketing data to their 3rd party companies. Even at this point it may still be innocuous, but the point is that now the data has left its home base. And the fact that this information is out there for use by various companies could - in the long run - have as damaging an effect as a bad credit report. In short, it could be very harmful to click on various likes across the web without taking a moment to think about what we are placing our stamp of approval upon. Facebook's vision of a Social Web is a grandiose one. However I think that it is entirely plausible. Social Tools such as the like button will give ordinary users the ability to give their votes of approval on any content that exists on the web. Within a few short years, the like button will hold as much power as a link from one website to another. It has already begun. Businesses will be able to capitalize on these new features, beginning simply by having them installed on their websites, and finding what works best for their target audiences. If you would like assistance with adding these social tools to your websites, call Rockland Web Design at (845) 271 - 4488. Most plugins can be added within an hour's time, so it is a fairly simple and straight-forward process for most client sites. But just as much as we advocate the usefulness of the Facebook Social Plugins, we subsequently argue that consumers will need to be educated on them as much, or possibly more than businesses. I think the greatest danger is to future generations that randomly surf websites and like, like, like, all day long. There needs to be some sort of safeguard, to protect them from being stereotyped as an advocate or purveyor of damaging, harmful or offensive information. I for one will be researching Facebook's new social plugins, especially the like button, very intricately. I see enormous potential for these tools, especially for businesses, but as mentioned above I do believe that the general public needs to be educated on how to use them properly. Speaking as a single man without any kids, I am looking ahead and imagining that I will need to make the time to consistently teach my future children (God willing) that they need to make intelligent choices when going online for any reason, and much like Stephen Covey's explanation in the Seven Habits of Highly Effective People, let them know that there is a space between stimulus ("wow this is a cool website!") and response ("I'm going to click on the like button") that gives them the freedom to make the right choices. And that choice can be as small as pointing a mouse toward the like button.